Feral cats live and thrive in the outdoors and are typically wary of humans. Feral cats’ needs are not met by an adoption process. The antiquated approach for animal control efforts across the nation was catching and killing–a method that is endless and cruel, not to mention ineffective. When feral cats are removed from a location, new cats move in and survivors breed to capacity (this is called the “vacuum effect”). In addition, feral cats play an important role in rodent control. So how can our community humanely approach feral cats? Trap-Neuter-Return (TNR) benefits the cats and the community. Cats are spayed or neutered, eartipped (the universal symbol of an altered feral cat), and then returned to their outdoor home. The colony’s population stabilizes–no more kittens! TNR improves their lives and the relations with their neighborhood–the behaviors and stresses associated with mating stop. TNR is the humane, effective approach for feral cats. When TNR is employed effectively, all the feral cats in a neighborhood are trapped, sterilized, and returned to the area where they were trapped. They are returned under the care of a Colony Manager. 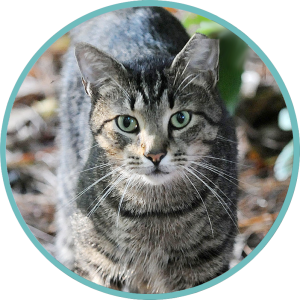 The Colony Manager is a trained volunteer in the neighborhood willing to feed, water, and care for the colony and watch for any new cats. Once the colony cats are all neutered, new cats tend to be recently abandoned domestics that can be captured and placed for adoption. Yavapai Humane Society’s Spay/Neuter & Wellness Clinic has traps which can be borrowed by calling 928-771-0547. Once trapped, Yavapai Humane Society will spay/neuter the cat, and when its incision has healed from surgery, it will be returned to the colony.